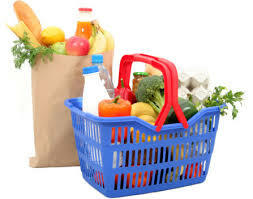 Smart Grocery Shopping for your health and budget. One question that undoubtedly comes up on a daily basis with most families is: “What’s for dinner?” With the commitments and responsibilities of today’s families its no wonder there is no time devoted planning your meals or grocery shopping trips. This results in wasted trips to the grocery store every other day, spending money on things you do not need or even really want. Half of the battle is coming up with a plan ahead of time. To help, I want to share my system with you that will minimize your cooking time while allowing you to avoid convenience foods that have little nutritional value. I need to point out one important thing: Of all of the daily commitments you make each day, perhaps the most significant is the one you make to yourself – to eat right and stay active. These food preparation strategies will help make honoring that commitment effortless. Plan out the week: Write out all of your family’s activities for the week on a calendar and plan your menu around each activity. This way, you will avoid the frustration of having to come up with dinner ideas every evening. Consider a Shop from home grocery options. The food is delivered right to your house, you do not make impulse purchases and you have better quality options then the traditional grocery store brands. Thaw out your protein item: Go out to your freezer in the morning and take out the beef, chicken, pork, or fish that you plan on eating that evening. Thawed meat will make the entire cooking process much easier. Pre-cook your meals: I personally find this to be a big time-saver. For me, Sundays are a good day to set aside an hour for batch cooking. You can grill or bake chicken breasts, fish, lean steaks, etc. for the week and incorporate into a variety of meals. For example, chicken breasts can be served for dinner one evening, added to a salad to make a healthy grilled chicken salad for lunch, or used to make a delicious sandwich. Remember, protein should be incorporated into every meal, and warming up precooked chicken or beef in a pan or microwave makes cooking a fast and simple. While you are grilling or baking your protein, multi-task: Bake potatoes, steam rice, and wash and chop your fruits and vegetables. Devote one hour to pre-cooking a couple of days per week, and you will save time, and eat healthier. Gear up with containers: Meal-sized containers keep things organized. You can fill up the container with a pre-cooked stir-fry, soup, or last night’s leftovers. You will have a great meal, ready to go, for work the next day. It takes time to ingrain these habits into your weekly routine, after you establish these behaviors you will appreciate the time and money you save and most importantly the healthier and higher quality foods you and your family are eating.